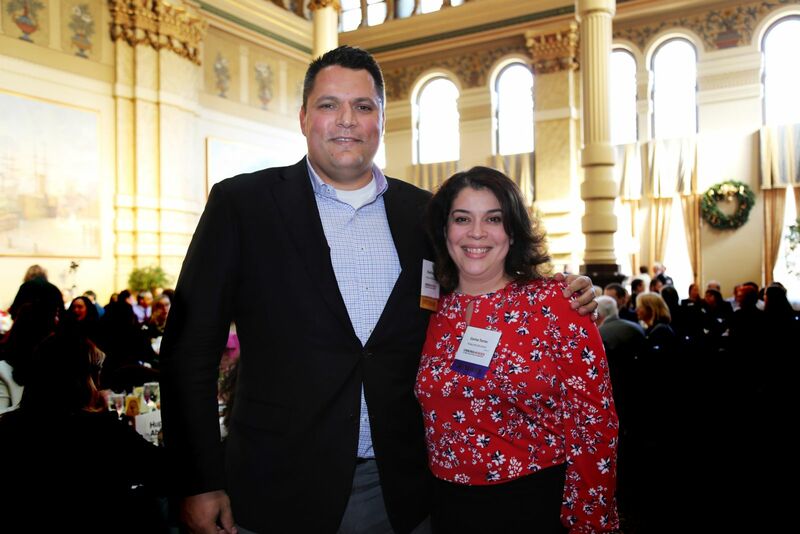 Hupy and Abraham Staff Honored at 2018 Unsung Heroes Awards | Hupy and Abraham, S.C.
On Wednesday, December 5, 2018, the Wisconsin Law Journal held its annual “Unsung Heroes” event, which honored two firm employees: Lead Paralegal Corina Torres and Director of Operations Jennifer Canavan. Hundreds of Wisconsin’s legal community attended this event. “Unsung Heroes” is an award that recognizes support staff that may otherwise go unnoticed. The honorees are among the best of the best from firms throughout the state. Out of the 28 honorees for 2018, both Corina and Jennifer were able to celebrate their years of hard works and accomplishments. After both of them starting at Hupy and Abraham in the early 2000s, they rose in their respective paths that put them into the leadership roles they currently fulfill. The excellence displayed by Corina and Jennifer is just one facet that remains constant throughout the entire firm, which is not something that very many companies can boast about. Hupy and Abraham, S.C. extends the highest thanks and congratulations to Corina and Jennifer for their years of service and dedication that resulted in this award.